Power to us shiny glittery people! 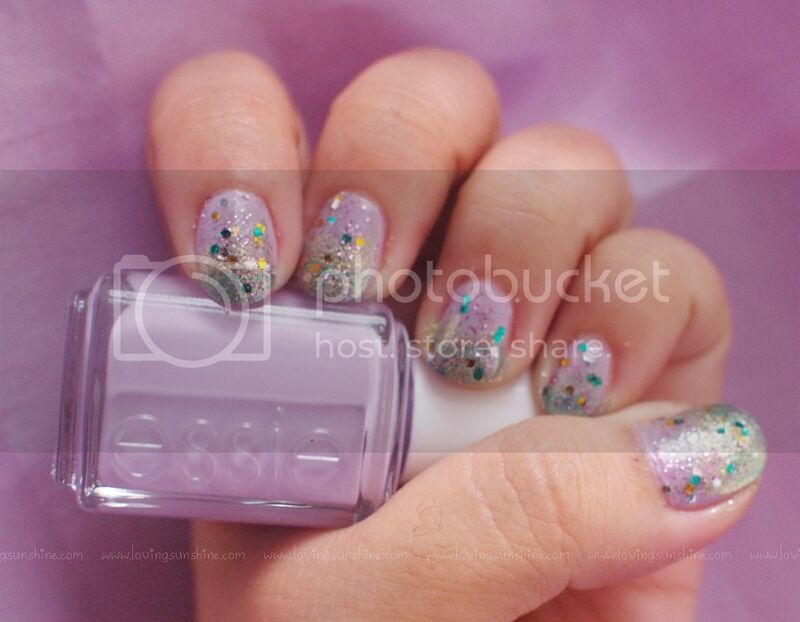 :) Featured nail polish would be Essie's Nice is Nice from Apothica. To those who don't know, I LOVE pastel purple polishes. I realized, just very recently, that pastel purples are my weakness. I love them so much cause they match my skin tone so well, make my hands look a little fairer and complements my usually outgoing or sometimes extremely brooding personality. I absolutely love how Nice is Nice is a powder purple, soft and calming. More pictures after the jump! I have been down under the weather the past few days, nursing rashes, wounds and what nots. I knew for sure a change in nail color would make me feel better... so change nail color I did! Sharing with you a candy-colored wonderland coordinate using four of my favorite polishes. 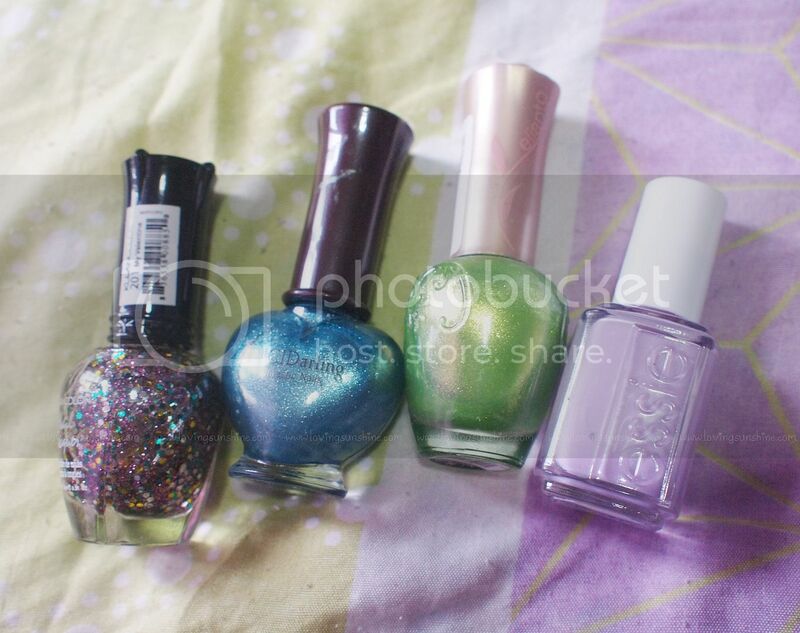 As base, I used the Essie* polish I got from Apothica, and for the gradient, I used two green glittery polishes from my beloved Elianto and Etude House collection. To create such gradient effect, I used the sponge application technique. 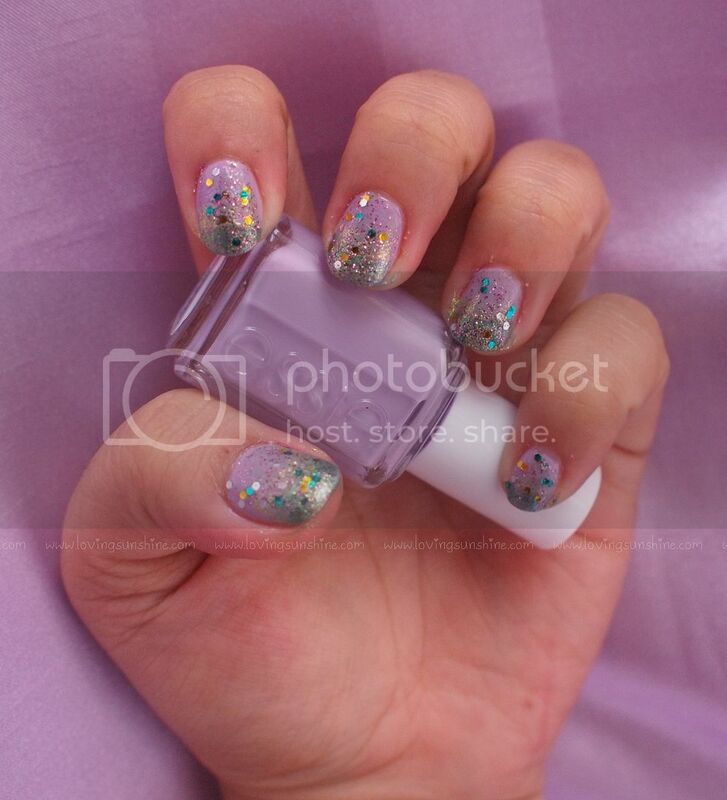 Using a clean make-up sponge/wedge, I applied the light green glitter color from mid-way my nail bed to the tip. After that dried, I did the same thing using my darker blue green glitter polish, this time focusing the pigments on the tips of my nails. As topmost layer, I used a Kleancolor polish I had lying around. It had the most apt specks for my multi-colored candy wonderland coordinate, don't you think so too? Yes, the nails are a bit rough to look at as I took photos of my nails without a top coat. I was too excited to share, that's why! To undo the grittiness of the design, simply apply a generous amount of top coat onto your nails. If you love shopping online, don't forget to read my online shopping tips here. Then, go and visit www.Apothica.com for some lovely beauty finds. Don't forget to join my international giveaway here. 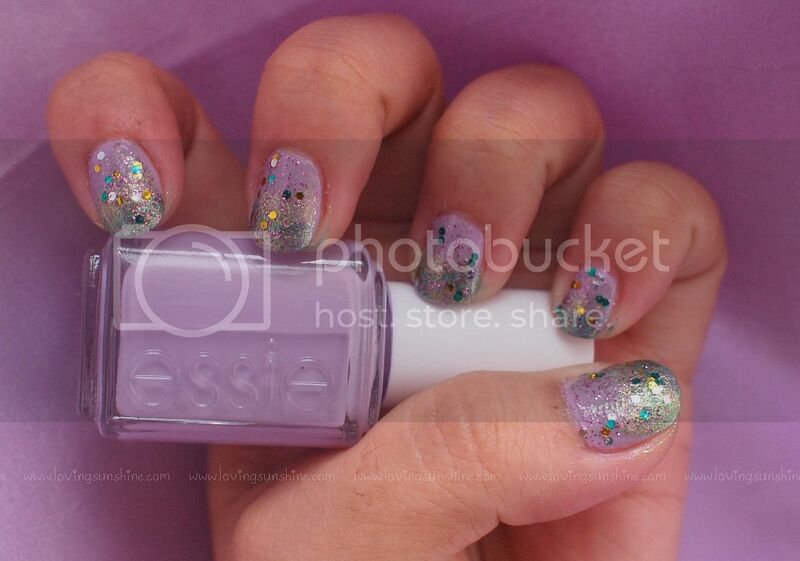 The purple looks very good with the glittery green on the top! Love the silver and purple combination! Super pretty!!! I think you did a great job and great combo! 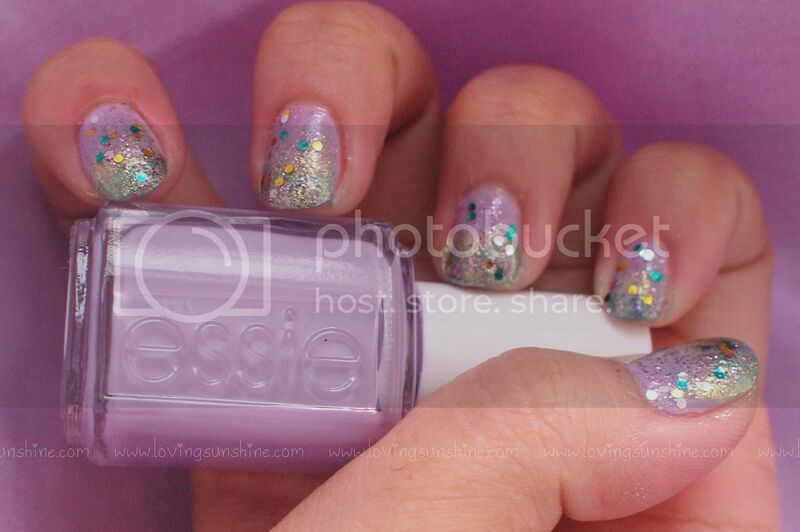 Love the lavender nails and the glitter! Very pretty!